Many Philadelphians know the Mütter Museum as a bizarre place full of medical oddities. Most people, however, do not about the larger organization of which it is a part. This organization is the College of Physicians of Philadelphia, and it is the oldest private medical society in the Western Hemisphere. Philadelphia’s concentration on medicine and public health can be traced back to Benjamin Franklin’s practicality (He founded the first hospital in the country.) and Quaker philanthropy. The College of Physicians was founded in 1787 by a group of well-known and respected Philadelphians. Benjamin Rush, a signer of the Declaration of Independence, proposed a model similar to England’s Royal College of Physicians. This meant that the College originally only accepted physicians (not surgeons) who had already studied at medical school, usually in Edinburgh or another European city. As medicine evolved over time, so did the definition of “physician.” Today all medical professionals are eligible to become fellows of the College, though it still is not a medical school as you might assume from its name. The College employed its mission to “advance the cause of health and uphold the ideals and heritage of medicine” early on. It suggested health measures to Philadelphia’s mayor during a yellow fever outbreak in 1793, and later proposed a city health law and Board of Health. Over the years, the College worked closely with the University of Pennsylvania Hospital, and many of the College members were also teachers in the medical field. The College of Physicians also was very influential in creating standards of American Medicine and developing a system of ethics. The College of Physicians of Philadelphia has never neglected its stance towards public health. Many of its programs today focus on the clash between medicine, law and social issues. “Philly Health Info” is a site full of relevant health topics ranging from sexually transmitted diseases to bed bugs. The College’s Center for Education and Public Initiatives focuses primarily on Philadelphian youth. Challenges covered include low vaccination rates, poor nutrition and even gun violence. Finally, there are numerous programs throughout the year focusing on public health. Lectures and forums cover subjects such as health care, disease prevention and suicide. Today, the home of both the College and the Mütter Museum is on 22nd Street between Chestnut and Market. The building, completed in 1909, was designed to house the Museum, Library, lecture halls and offices. Despite its relatively new location, the Library has been operating since 1788 and is open to the public. 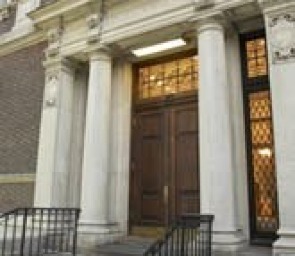 It would benefit Philadelphians to look at the College of Physicians not only as the site of the Mütter Museum, but also as a community resource. The College may have a history as old as the country, but the topics it tackles are completely current.